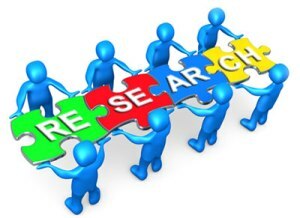 Let us help you solve your research puzzle! San Joaquin Genealogical Society volunteers will conduct limited San Joaquin County research for $15 per hour. Please email your request to research@sjgensoc.org. Please be as specific as possible as to what information you are looking for, and provide our volunteers with a list of any records or information you already have to avoid any duplication of effort. Our volunteers will review your request and if they are able to assist you, you will be directed back to our website to make payment before research is started. To make a payment for $15 for one (1) hour of research, please click on the "SJGS Store" link in the menu bar to the left. Scroll down to find "Research Request" and follow the prompts to make payment. The San Joaquin Genealogical Society charges $5 to locate an obituary within San Joaquin County. Please email your request to research@sjgensoc.org. Please be as specific as possible regarding the obituary you hope to find; include the full name of the deceased, if known, and the exact date or approximate year of death. Our volunteers will review your request and if they are able to assist you, you will be directed back to our website to make payment before research is started. To make a payment for $5 for an obituary, please click on the "SJGS Store" link in the menu bar to the left. Scroll down to find "Obituary Request" and follow the prompts to make payment.